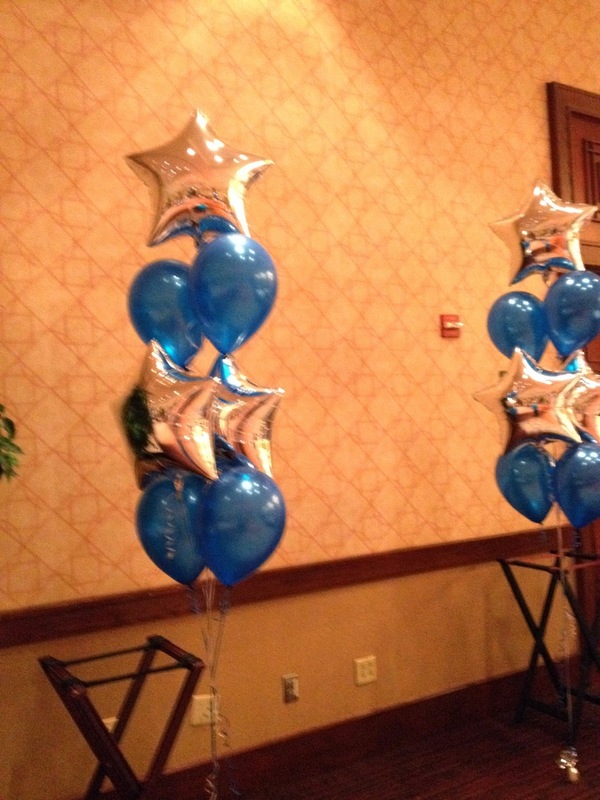 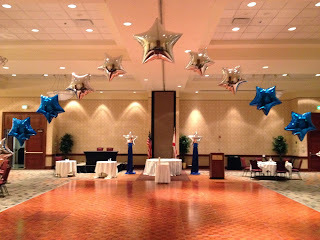 Blue and silver foil star arch over dance floor. 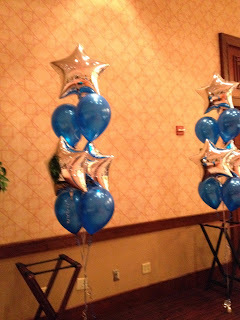 And 2, 3 ft Silver stars on top of Satin blue columns to add elegance on either side of the cake table. 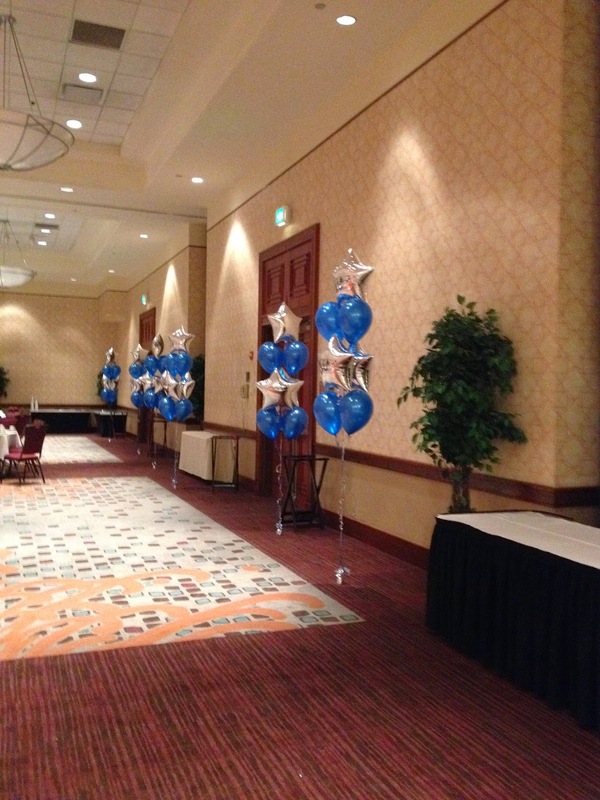 Helium clusters bring color around the room for this Military Ball. Party People Celebration Company is based in Lakeland, Florida and provides decor throughout Central Florida. 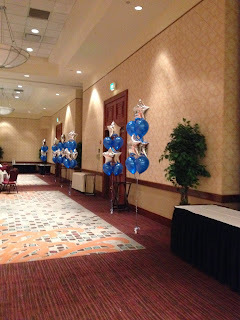 Visit our website http://partypeoplecelebrationco.com Call 863-255-2025 or email partypeoplecc@msn.com to order decor for your special event.